The proceedings of the Second World Congress of Science and Racket Sports and Fifth International Table Tennis Federation Sports Science Congress contain six keynote lectures which provide the latest research on a range of sport science topics as applied to tennis, table tennis, squash and badminton. The book is divided into six parts which deal respectively with Physiology, Nutrition, Preparation for Play, Psychological Aspects, Medical, Biomedical and Technical Aspects, and finally Notational Analysis. 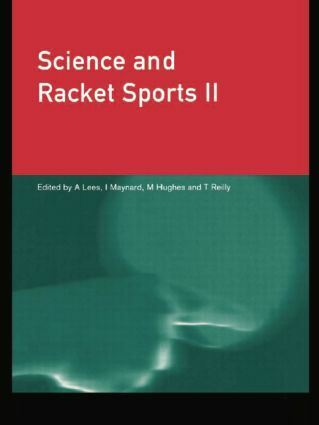 Sports scientists, coaches, physiotherapists, physicians and professional from racket sports industries will find that this book gives them access to the latest research from a world-wide group of experts. It will also provide an invaluable resource for undergraduate and postgraduate students. The editors have expertise in racket sports as well as in the various scientific disciplines covered at the Congresses. They have all been active in promoting the links between scientific theory and coaching practice. Cardiorespiratory adjustment in middle-level tennis players: are long term cardiovascular adjustments possible? Is the inhibition of smashing and serving movements due to anatomical variations?